Grüß Gott aus Wien! 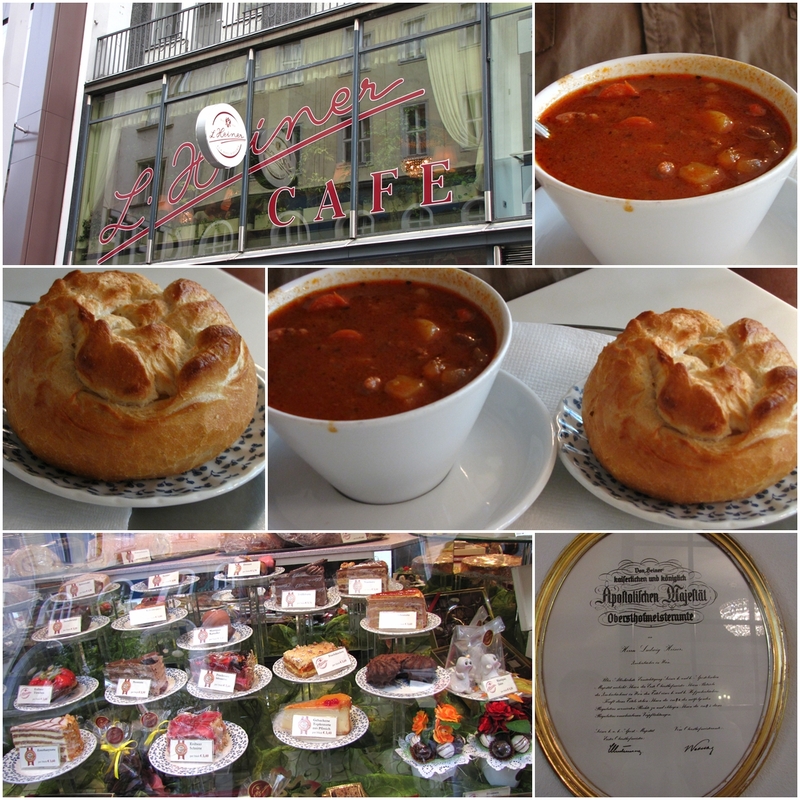 Today I'm blogging from Vienna in Austria. It seems that I forgot how great Vienna is and it's the reason why I haven't been here for ages. I have to change it! It's a pity that's quite far away from my beloved Frankfurt where I live but I am sure that I can change it and I will change it - of course not bringing the cities more close to each other but I have to make a trip from time to time to Vienna to explore the city from the beginning. 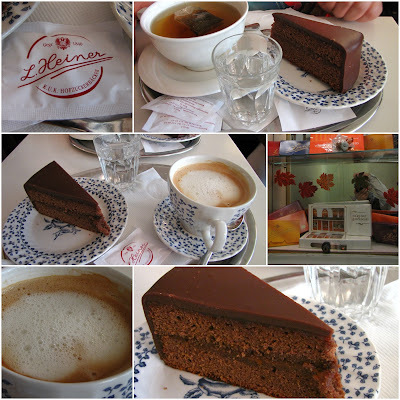 I ate a great Sacher-Cake in Café Heiner - here's the link to that café and drunk coffee with milk which is called Wiener Melange here. The weather was AMAZING. Not too cloudy, not too sunny but warm and great for walks around the city. My mom had a Sacher-Cake as well and my father ordered some brioche and goulash - which is except the brioche NOT vegetarian but I was never an ultra and I was happy he enjoyed his food and I am going to post the picture here. So take a look at some of the yummy culinary impressions I made today.